How is the conflict over judicial reforms affecting Polish politics? Controversy surrounding the Polish government’s judicial reform programme has undermined its strategy of pivoting to the centre in the run-up to the country’s next parliamentary and presidential elections. But as Aleks Szczerbiak writes, in spite of misgivings about the reforms, the ruling party is in tune with Poles on the social and economic issues they care most about, and the opposition has so far offered little alternative beyond the defence of an unpopular judicial status quo. Most of the opposition – led by the liberal-centrist Civic Platform (PO), the country’s governing party between 2007-15 – and the legal establishment strongly criticised the reforms, arguing that they undermined the independence of the courts and infringed the key democratic principle of constitutional separation of powers. Warning of a drift towards authoritarian rule, the government’s opponents said that, by putting judicial appointments under political control, these reforms allowed Law and Justice to pack the courts with its own, hand-picked nominees; pointing out that the supreme court rules on the validity of national election and referendum results. The new supreme court early retirement provisions, which came into effect at midnight on 4 July and affected 27 of its 73 members, have proved particular contentious. Nine of these justices requested an extension to their terms of office and submitted the required formal documentation to the President, four did so by simply stating that they could not be dismissed, and a further three cited the provisions of the Constitution. There were 11 supreme court justices who did not seek an extension, including first president Małgorzata Gersdorf who argued that her six-year term of office, which ends in 2020, could not be shortened because it was constitutionally guaranteed. The government and Duda responded that the Constitution also says that parliament determines the retirement age of supreme court judges and, as she did not submit a request to prolong her term, Gersdorf officially retired and could not continue as first president. They also said that one of her deputies, Józef Iwulski, was acting president until the post could be filled permanently. Gersdorf, on the other hand, argued that Iwulski was merely deputising for her as a temporary replacement in cases of her absence; she went on vacation shortly after the new provisions came into effect (Iwulski shared this interpretation of his role). Law and Justice responded by introducing legislation to accelerate the process of appointing a new, permanent supreme court head. The amendments, approved swiftly by parliament (without proper debate, according to the opposition), make it easier to appoint new supreme court judges and reduced (from 110 to 80) the number required in the court’s general assembly to nominate candidates from which Duda will choose the new first president. The government said that the amendments were needed to end the state of uncertainty in the supreme court and prevent the threat of obstruction of new appointments. However, some commentators argued that Law and Justice wants the new supreme court judges and leadership to be in place as soon as possible to make the judicial reforms irreversible by the time the European Court of Justice comes to examine the case. Law and Justice argues that it was elected to office with a mandate to overhaul the judiciary. For sure, an August 2017 survey conducted by the CBOS agency found that 81% of respondents (including 74% of Civic Platform voters) felt that judicial reform was necessary while only 10% were against. However, while Poles certainly have many misgivings about the functioning of their country’s judicial system, they are also wary of the government’s specific reforms. For example, a July survey conducted by the IBRiS agency for the ‘Rzeczpospolita’ newspaper found that 54% of respondents evaluated them negatively and only 39% positively. Only 18% said they would increase trust in Polish courts (25% reduce trust, 15% make no difference); 25% that they would increase the independence of the courts (48% reduce independence, 14% no difference); and 28% said they would make them more efficient (43% reduce efficiency, 14% no difference). Moreover, some commentators argue that, by polarising the political scene around such a sharp conflict, the judicial reform controversy has undermined Law and Justice’s strategic objective of calming social protests and shifting the focus of debate in the second half of the government’s parliamentary term away from more controversial issues to broaden the ruling party’s appeal to more centrist voters. With the passage of the judicial reform laws at the end of last year, many of the key elements of the government’s radical state re-construction programme were felt to be in place. One of the main objectives of the change of prime minister last December and government reshuffle in January was, therefore, to stabilise and consolidate Law and Justice’s position ahead of a series of key elections: local government in the autumn, European Parliament in May 2019, parliamentary in autumn 2019, culminating in the summer 2020 presidential poll. So why has there not been more of a political backlash against the government’s reforms? 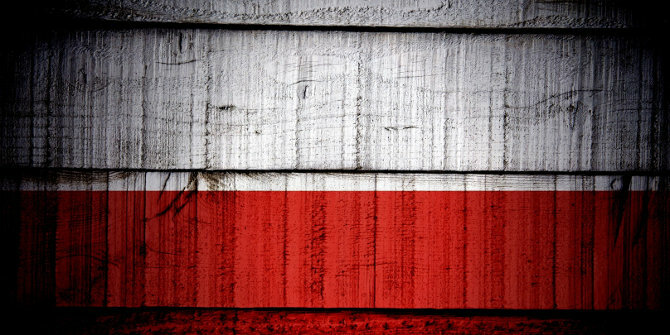 Although many Poles have misgivings about Law and Justice’s approach to constitutional questions, they also find these kinds of issues rather abstract. For sure, the July IBRiS/’Rzeczpospolita’ survey found that 70% of respondents said that they were interested in the supreme court reforms (33% very interested) and 63% that they ‘affected them directly’ (31% to a significant extent). However, it is questionable whether they have detailed knowledge of the dispute, and they often tend to view it as a political conflict rather than through a legal-constitutional lens. Indeed, the opposition have not been able to convince ordinary Poles that anything really extraordinary is happening in the country as far as the state of democracy is concerned because their rhetoric often does not accord with the latter’s everyday experiences. For many Poles, for example, the anti-Law and Justice privately-owned media still appears to provide a powerful counter-weight to pro-government public broadcasting. At the same time, Law and Justice is more in tune with public opinion, and appears to have delivered on the social and economic issues which Poles care most about. Moreover, although they are not necessarily convinced by the government’s reforms, most Poles are very critical of the way that the courts currently function so the judicial establishment does not have a bank of goodwill that the opposition can draw on to mobilise support. For example, a February 2017 CBOS survey found that 51% of respondents said that they evaluated the Polish judicial system negatively compared with 36% who viewed it positively (only 2% very positively). Among the most commonly cited problems were: the protracted nature of trials (48%), court proceedings being too complicated (33%), and judicial corruption (30%). Moreover, while focusing on Gersdorf as the visible symbol of resistance to the reforms gave the opposition an opportunity to ‘personalise’ the dispute in a way that could make it intelligible for Poles unfamiliar with the intricacies of how the supreme court works, she does not have the personality of a ‘political fighter’. Indeed, her often-inconsistent behaviour – declaring that she would not comply with the new law but then going on holiday at a crucial moment during the anti-reform protests – confused and demobilised the government’s opponents. At the same time, Law and Justice’s argument that the reforms were aimed at freeing the court system from the country’s non-democratic past were reinforced when it emerged that Iwulski had participated in seven political trials involving sixteen anti-regime oppositionists and was a reserve officer of the military counter-intelligence service (WSW) during the communist period. Perhaps most importantly, the opposition has not really offered any credible alternative to the government’s judicial reforms other than defending a status quo that most Poles feel is deeply flawed. An August 2017 CBOS survey, for example, found that while only 23% of respondents trusted Law and Justice on this issue (64% distrusted) only 6% trusted Civic Platform (79% distrusted). Even if Poles are dubious as to whether the government’s reforms will significantly improve the functioning of the judicial system, Law and Justice has been effective at convincing many of them that, for all its faults, that it is at least trying to tackle a problem which previous administrations appeared content to ignore. The general population correctly sees the judiciary as a corrupt Communist hang-over. It’s something to do with the fact that while the West Germans kicked out virtually all East German judges on the grounds of being totalitarians, Poland’s totalitarian judges escaped virtually unscathed – and got to nominate their successors. Various adverse upshots ensued. Like Lech Walesa, now outed as the Communists’ leading secret agent, being protected in libel trials for a generation. Democracy was strangled in its cradle by censorship, enabled by totalitarian judges. Fast forward, and modern day Poland is trying to undo Europe’s biggest real estate scandal, involving billions of euros. Yes, billions. And in Warsaw alone 50,000 low end tenants were evicted as the judges, mafia and Liberal politicians ran riot. The former Communist Party member Gersdorf – headed the Supreme Court. Her fellow Communist hubby Zdziennicki headed the Constitutional Tribunal, after he bequeathed his post as Dean of the Law Faculty at Warsaw University to his son. The Dean plays a key role in appointing new judges too. No discussion of why Poles dislike and distrust judges can be held without talking about their abuses. And incidentally, a bucketload of judges are under investigation for corruption in Krakow too. This article never mentions the fact that under PiS the court system has become much slower, largely because insufficient new judges have been appointed to fill vacancies caused by retirement. There is speculation in the press that this may be a reason helping Justice Minister Ziobro’s enemies to get him removed, since he is an ambitious candidate for the leadership of the United Right after Kaczyński retires. As for the opposition, it has become clear that the party leaders Gregorz Schetyna (PO), Włodzimierz Czarzasty (SLD) and perhaps Władysław Kosiniak-Kamysz (PSL) have defeated all possible rivals within their parties and are the leaders that the opposition must be content with as their parties are the only ones with substantial membership and structures throughout the country. The trouble is, Schetyna and Czarzasty are completely devoid of charisma and exciting ideas, while the likeable and earnest Kosiniak-Kamysz is too traditional for the liberal opposition. Nevertheless, this is the coalition which needs to be cobbled together for the upcoming marathon of local, European and national elections, and the difficult task of the opposition is to build up this duo or trio of leaders as the saviours of democracy. On the other hand, PiS has a phalanx of ruthless fifty-year-olds (Brudzinski, Mazowiecki, Błaszczak etc.) ready to succeed the ailing septuagenerian Kaczynski as party leader, in the pattern of Stalin succeeding Lenin, and PiS have gathered into their hands the means to heavily bias the upcoming elections (e.g. the election law changes affecting constituency sizes to most favour PiS). Given the many tricks and other means available to them, I see PiS making major advances in the local government and European Parliament elections unless the opposition really mobilises, but when leading lights such as Gersdorf and Nowacka appear to give higher priority to their families than to the nation, I fail to sense much urgency in the opposition. This is not the Warsaw Uprising. Local elections will give PiS a huge boost – as the last local elections were rigged, with swings to PSL (then junior coalition partners) of 1000% in some places!! It is worth noting that the subject of corruption, recently disseminated by the media, will be an important instrument in the fight for the authorities in the upcoming elections. Maybe it is therefore better to know and understand the essence of corruption in practice.